Today we’d like to introduce you to Marisa Fanelli. Thanks for sharing your story with us Marisa. So, let’s start at the beginning and we can move on from there. Growing up, I watched my mother suffer through a variety of illnesses and surgeries that might have been prevented if she was seen as a whole person, and not just as various separate body parts. This stayed with me as I got older: that the Western medical system, while wonderful in some ways, was lacking in many others. My career journey took a rather roundabout route. I began as a mortuary science major, then switched to English. I spent a few years teaching in the inner city before realizing that this was not meant to be my path. 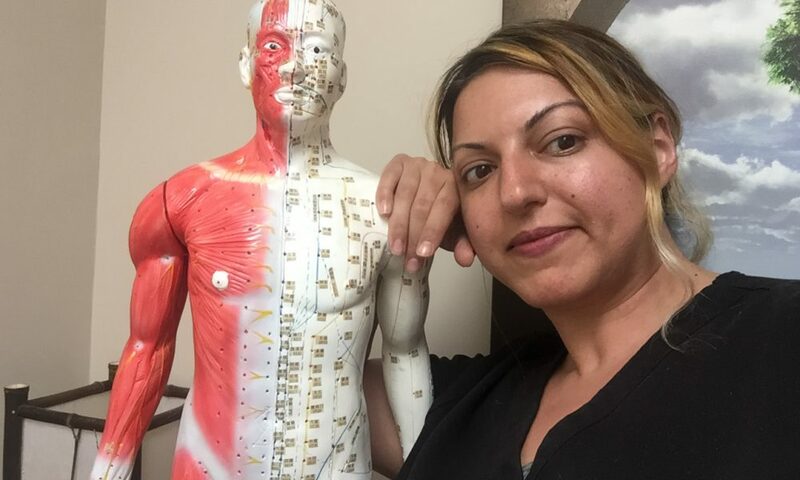 One day, I stumbled upon an ad for a graduate program in acupuncture, and I decided to make an appointment with an acupuncturist and see what it was all about. After my first session, I was hooked. Not only was my knee pain completely gone, I also felt more relaxed and peaceful after that session than I could ever remember feeling before. I decided that this was the kind of medicine worth exploring. I went to NESA, the oldest acupuncture school in the US, and received my graduate degree four years later. I opened my practice in Wayland, MA in 2011. After working for a year, I started to think about how well hypnotherapy would mesh with acupuncture. I imagined creating treatments that went beyond mind and body, envisioning a type of session that could catalyze change on every possible level. I was accepted to the Thomas Institute of Hypnosis, and received my certification in hypnotherapy in 2012. Once I started to incorporate hypnosis with acupuncture, I began to see even more profound changes within my patients; I now specialize in this modality. Owning a business is a road fraught with uncertainty-at least when you are starting out. Fortunately, I’ve never had much fear around a lack of stability. But for those who need to know exactly how much is in their bank account each month, it can be ulcer-inducing. There are just so many ups and downs, and you never know when the peaks and dips will be. Being a small business owner means that you need to get comfortable with using failure as an opportunity for growth. When I came out of school, I had a great education in acupuncture technique, but I had zero background in running a business. I had to learn everything from the ground up, and to get very comfortable with asking lots of questions to figure out what I was doing. It can also be lonely. You are immersed in this unfamiliar territory without anyone to turn to for support while you’re figuring it all out. This is why I am now in the process of creating a referral group of holistic practitioners in the Metrowest area. I love helping small business owners to learn and grow, while providing them with a network of others who are going through the same struggles. I am the owner of Healing Point Therapeutics, an acupuncture and hypnotherapy clinic in Natick, MA. I have created a unique blend of hypnotherapy and acupuncture to treat anxiety, depression, and insomnia. The sessions I provide serve to build new neural pathways and thought patterns, while simultaneously balancing the sympathetic and parasympathetic nervous systems. I am probably the most hedonistic holistic healer around, and this reflects in the environment I provide for my patients. I want everyone to experience magic when they walk through my door. I am constantly asking myself, “How can I create the best possible sensory and emotional experience for my patients?” Very often, random strangers will wander into my office, and over and over, I hear “I wish I could just stay here! Do I have to leave?” I am all about living a life that is both healthy AND happy, and I take pride in the fact that patients who walk through my doors are going to have a life-changing experience where they will be fully accepted and never judged. I think that what sets me apart from many holistic healers is the amount of fun we have here at the office! I have worked hard to set a tone of professionalism that is balanced with lots of laughter and lightness. I grew up as the only outspoken member of an extremely quiet and shy family; as the oldest child, I tended to be the voice and the caretaker. If I had to pick one defining character trait, it would be curiosity. I am endlessly curious, and my parents often lamented the fact that it took SO MUCH stimulation to keep me content. As it turned out, this particular characteristic would draw me into the world of acupuncture and hypnosis. No matter how much I learn, there is always so much more to know. I’m also incessantly curious about people. People are fascinating! Everyone has something that I want to know more about, and I love how many people I get to connect with throughout the course of my day. I’ve always been a creative type, and I spent much of my childhood painting and writing. After high school, I pursued a degree in English; while I quickly learned that teaching was not my passion, I still spend much of my very limited free time writing today. I host a blog about Chinese medicine; I’ve published many articles with a focus on health and wellness, and I’m currently finishing up a book on exploring adventurous holistic modalities outside of my comfort zone. Your life story is wonderful.